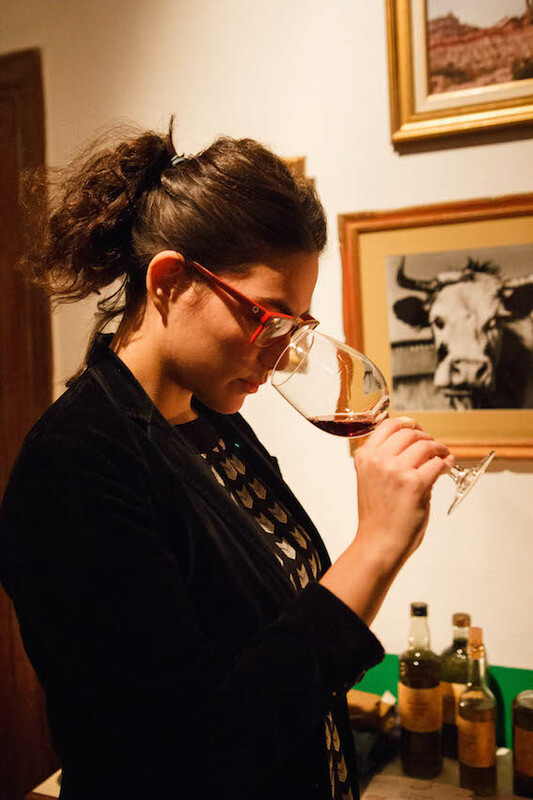 When she started studying sommellerie at CAVE, Victoria Ortemberg was so young she had to get her parents to sign a permission slip (she was 18). While she’s worked at Unik, Casa Coupage and Urondo Bar, Victoria also studied physiotherapy and was a pro contemporary dancer for four years. These days, you can find her somming at the Colegiales pop-up, Pân. It was with a dessert at my latest project, Pân, a moist lemon sponge with diverse citrus textures such as living sections to an orange sablée and I recommended that with the most recent late harvest from Finca Sophenia, a sweet and elegant Sauvignon Blanc, with lots of citrus fruit and freshness, excellent acidity and a touch of sweetness necessary for a dessert. It’s an interesting wine that I believe will gain lots of complexity with a little bottle ageing. Just one??!!!! Unfortunately, my objectivity is nil. My favourite region doesn’t mean my favourite style, varietal or wine. But my favourite region is San Gimignano, Tuscany, and it’s because I’ve had the chance to visit it a lot, plus I’ll never forget the first time I tried a wine from that region. Before I got there, I’d travelled around Tuscany quite a lot with my dad, who was living in Italy at the time. Driving up and down sinewy hills, around beautiful vineyards in the sun, then trying Vernaccia whites was a marvellous experience. I remember that neither of us spoke much that day, as if we knew we were sharing something unforgettable, and that’s what it was like; that memory will live within me for the rest of my life. Contact with people, empathy and the enormous satisfaction of seeing people’s expressions when they are really enjoying a suggestion. Also working in a team, learning continually, being surprised by a new bottle, trying something I’ve never tried before, or taking something different from a wine I already knew. We as people change, and so does wine. I like whites a lot and I have a Prager Klaus Smaragd 2011 from Wachau stored away. I had the chance to try various ages several times and they blew my mind. These wines are so complex you can’t stop writing tasting notes and going back to the glass. However, I want the years to go by so I can open a Flor de Pingus 2013 and some Noemia Malbecs. The best thing that ever happened to you as a somm? There’s a lot of anecdotes but I think the thing that stands out the most is the number of amazing people I’ve met over the years: colleagues, winemakers, clients and even my partner. Also, the possibility of travelling and feeling part, like in any profession, of a common language and a way of experiencing the world. I think I’d be a Pinot Noir (although I like Pinots from lots of places around the world) and it’s because I feel like it’s a like a thread that weaves its way through my life, the varietals that I always – and always will – drink. Over time, other varietals change flavours and wine styles, but there’s always a Pinot Noir in any version, from the most youthful and fruity to the most complex, that reflect a moment of my own maturity.